This is the first translation of the Dhammapada that gives the original Pali with a word for word meaning and grammatical explanation. The basic purpose in so doing is to provide an opportunity to the readers to learn the etymology and meaning of each word. Such a presentation would also offer an opportunity to them to appreciate and enjoy something of the original language which is very profound and concise. Below each verse transliteration of Devangari words is given in readable English to show the readers how the words are pronounced so that it they desire they can appreciate the sound of the original language. Besides, this will further help in better understanding the verses. In making the translation that appears below each verse the author’s objective has been to stick as closely as possible to literal meanings has been given to provide simple clarity. K.T.S Sarao is Professor of Buddhist studies at the University of Delhi. He obtained his first class first MA (history) MPhil (Chinese and Japanese studies) and PhD (Buddhist History) from the Universities of Delhi. He obtained his second doctorate (Pali and Archaeology) from the University of Cambridge where he wakes as a Commonwealth Scholar form 1985 to 1989 Prof. Sarao has been a visiting Professor. Fellow at Dongguk University (Seoul, South Korea) Chun-Hwa Institute if Buddhist Studies (Fagushan Taiwan0 St. Edmunds College (Cambridge University UK) Maison des Sciences de L’Homme (Paris, France) Department of Religious Studies (Toronto University Canada and Pali College (Singapore). 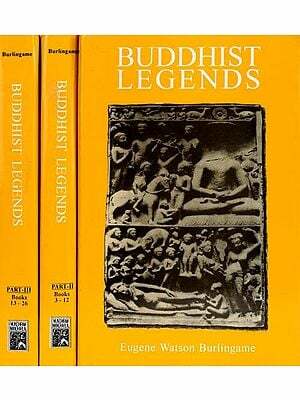 Many scholarly translations of the Dhammapada have already been done probably into English at least fifty times. Then why add one more to such a long lost? The reason for my translation is that as far as I am aware none gives the original Pali with a word for word meaning and grammatical explanation. Thus providing an opportunity to the readers to learn both the sound and the meaning of each and every word such a presentation will offer an opportunity to them to appreciate and enjoy something of the original language which is very profound and concise. Below each verse transliteration of Devanagari words is given in readable English to show the readers how the words are pronounced so that if they desire they can appreciate the sound of the original language. Besides, this will further help in better understanding the verses. In making the translation that appears below each verse an attempt has been made to stick as closely as possible to literal meanings. While so doing my main priority has been to provide simple clarity and now it is for the readers to judge how far I have been successful in this attempt. In the preparations of this book I tool maximum help form my students Dr. Sanjay Kumar Singh and Dr. Arvind K. Singh. My thanks are also due to Prof. U.S Vyas Prof. Bhikshu Satyapala, Prof. Mahesh Deokar, Dr. Rana P. K. Singh Dr Lalan K. Jha and Dr. Rajesh Ranjan for the innumerable small corrections and suggestions I am also grateful to my friends Dr. Anita Sharma Dr. Subhara B. Pavagadhi, Dr. R.K. Rana and Dr. S.M. Haldhar for many acts of friendship. Above all I am thankful to Shri Ashok Jain of Munshiram Manoharlal Publishers for bringing out this book in the shortest possible time. In a work as complex as this one it is only natural for some errors to occur, for these I seek the reader’s indulgence. Like the Gita of the Hindus the Dhammapada is the popular Buddhist book. This text forms part of the Khuddhaka Nikaya of the Sutta Pitaka and its Pali version consists of 423 melodious verses gathered from different sources which are put together into 26 chapters. The Dhammapada is an anthology of Buddhist devotion and practice whose verses as pointed out by S. Radhakrishnan embody the spirit of the Buddha’s teaching. The Pali word dharma (Sanskrit: dharma) is one of the most difficult words to be translated into English. It has many meanings as well as connation and the relevant meaning can only be understood in the context in which it is used. In general this word may be translated as religion, law, truth, virtue justice discipline or morality. The word Pada literally means foot and by extension footpath, path way track. On the basis of this the word dhammapada may be translated as a line of a verse or a saying. On the basis of this the word Dhammapada may be translated as the saying virtue. Though many of the well known scholars have preferred to leave the title of the Dhammapada translated as the sayings of the Buddha verses on the way, A path of Religiousness and the word of the Doctrine. For the Pali portion of the Dhammapada the 1994 edition of Pali Text Society edited by K.R. Norman and Oskar von Hinubar has generally been used. I have consulted many previous translations. Among them those of F. Max Muller (1881), C.A.F Rhys Davids (1931), Narada Thera (1940), S. Radhakrishnan (1950), D.J Kalupahana (1986), J.R Carter and M. Palihwadana (1987) and K.R. Norman (1997) were found to be particularly useful. Besides these translation done by Juan Mascaro (1973, Thera Buddharakkhita (1985) Thomas Byrom (1993), Bhikkhu Thanissaro (19980 G. Fronsdal (2005) and Glenn Wallis (2007) were also consulted. It is useful to study words in order to understand the sentences but like roots and stems isolated words are in fact mere abstractions devised by grammarians for the analysis of language. Thus the early sis and the learning of any language should be based on the study of sentences that is of the language as it is actually found in use. It is the sentences which are the natural units of discourse and which are the minimum units having presided fully articulated meaning. For the purpose of study we have to assign approximate meanings to words and list these in vocabularies but these generalized meanings of works are extremely vague whereas sentences have extract makings. In translation one may find close equivalents for sentences whilst it is often impossible to give close equivalents for words. In Pali the general classification of speech is done in four parts noun, verb, prefix, and indeclinable. Pronouns and adjectives are included in the category of nouns. Adjectives are treated as nouns because they are decline as nouns. Conjunctions prepositions adverbs and all other indeclinable are included in the category of indeclinable. The uninflected form of a Pali word without an ending is called the stem. In dictionaries and vocabularies nouns are usually listed in their stem forms less often in the form of the nominative singular. Verbs however are usually given under the form of the third person singular of the present tense. The prefixes of which there are about twenty in number are regarded as a separate part of speech in Pali. The various verbs consisting of prefix +root have all to be leaned separately as regards meanings. Although the separate vague ones the meaning of a prefix +root cannot usually be accounted for adequately as simply the product of the two separate meanings. A good many roots are used also without prefixes but prefixed forms are very much more frequent in Pali. A number of verbs have tow or three prefixes to their roots. In Pali all the words are derived from a limited number of roots i.e. all words are analyzable into roots plus suffixes. A root is an element not further analyzable at the grammatical levels having a very vague and general meaning. A root does not exist in its pure state except in dictionaries and grammar books. An infinite number of stems may be derived from any root by the addition of suffixes and by certain changes to the root itself for instance by lengthening the vowel subsisting a compound vowel inserting a nasal reduplicating in place of the semivowel. Each verb has a variety of stems for its different parts all bearing the same meaning except for the grammatical distinctions of tense. After this derivation of the word stems by the addition of suffixes to roots inflectional endings are added to form actual words as they occur in sentences. Words may be classified as verbs nouns prefixes and indeclinable. Indeclinable words are those that do not take any inflections. There are three genders of nouns and adjectives masculine feminine and neuter. Pronouns are not regarded as a separate class of words but as a king of noun although their inflections do not century coincide with those of nouns. As a rule substantive nouns have only one gender each whereas to the nouns with which they agree as attribute words the inflections of adjectives are the same as those of nouns of the corresponding gender hence they are not regarded as a separate class of words. In the vocabulary given along with each verse the abbreviations nom., acc., ins., dar. abl., gen. m loc. and voc, are used to designate the cases of the respective words and sg. and pl, are used for singular and plural. In the case of verbs the root is given with the preceding sign and 3.pl mean first person singular second person singular third person singular first person plural second person plural and third person plural respectively. Various forms of the verb such as gerund gerundive infinitive aorist opattive/poetential imperative passive active intensive desiderative causative indicative imperfect perfect and future are indicated. It may be interesting to not that only one gerundive has been in the entire text.